John Reich was hired by the Mint as Assistant Engraver in 1807. 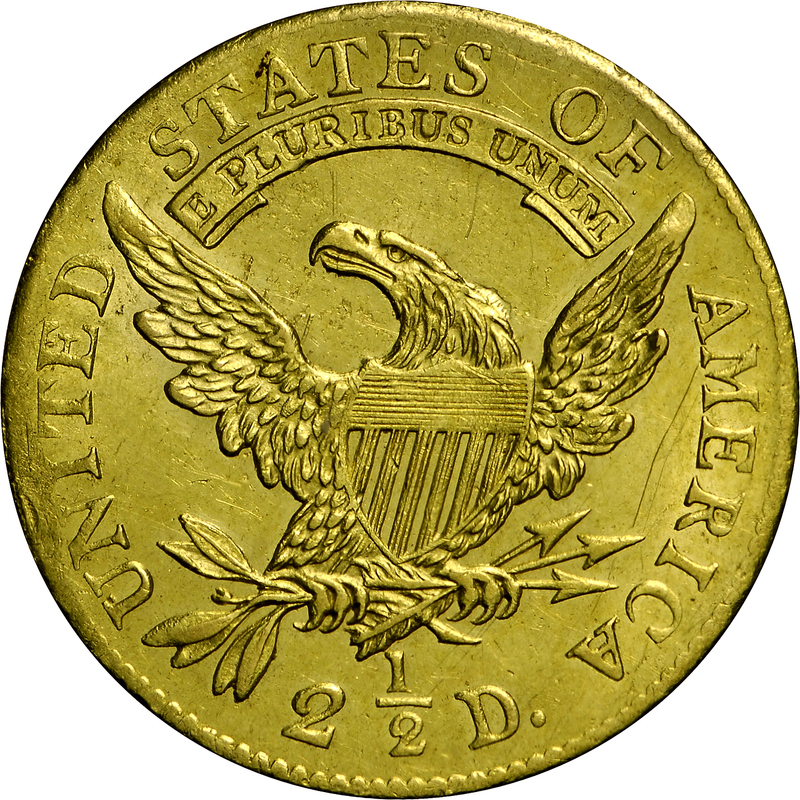 He immediately set about redesigning the coinage, with half dollars and half eagles introduced in 1807, cents and quarter eagles in 1808, and other denominations in later years. 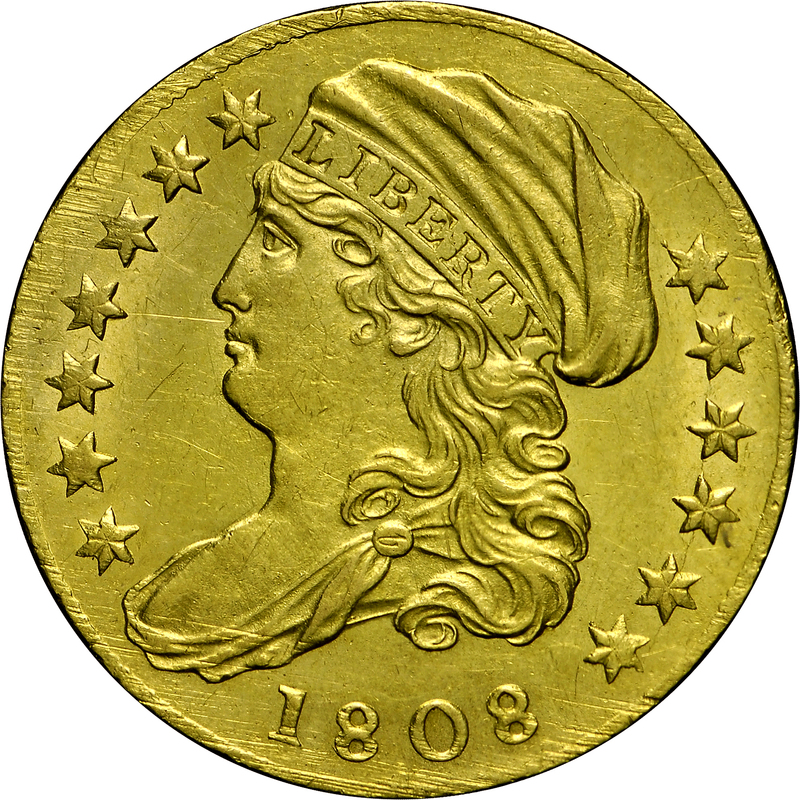 His obverse design featured a representation of Liberty wearing a large cap, somewhat smaller on silver coins, and not present on copper issues. 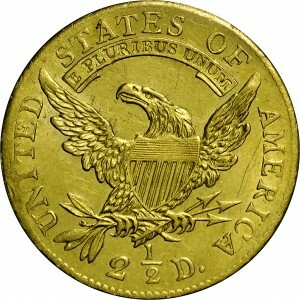 The reverse of quarter eagles and half eagles offered an eagle with wings spread upwards, the motto on a ribbon above. 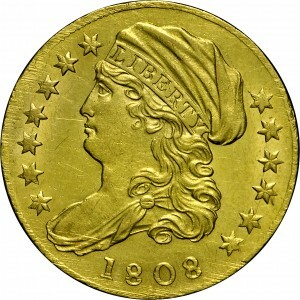 Among quarter eagles, this 1808-dated coin was the only issue of the design. From Abner Kreisberg's sale of March 1972, Lot 1163. "Obverse: Usual crack from cap thru stars right. One year type."